For those of us who no longer (or never did) live in London, it is one of those times of year when we are attracted to the capital to catch up with beery comrades and the promise of new brews. 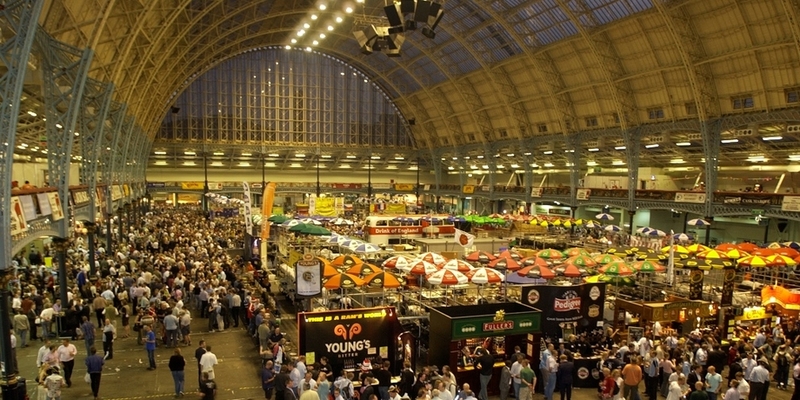 And so I headed for Olympia – and like many found myself proclaiming just how much better a venue it is than the horrid aircraft hangar of Earls Court – to meet up with friends and discover some new beers. But frankly, my list is longer than 10 beers. Some of the beers in the article were ones I’d tried before in cask or bottle and others came from my own personal hit list of new beers to try. I’ve decided not to write up a full list of recommendations/reviews as you’d be here all day and I want you to have plenty of time at the bar. But I will tell you that I wasn’t disappointed in the Kissingate Brewery Black Cherry Mild (4.2%) although it wasn’t as cherry-flavoured as I’d anticipated. It is however a worthwhile dark mild with some chocolate elements to its flavour and a pleasing liquorice aftertaste. *Find it upstairs on W3 The Dunlop Bar. Lowell Beer Works Sour Red (4%), a Flanders-style sour ale from a US brewer, had an immediate and obvious cheek-puckering sourness and red-berry flavour followed by an unexpected, but delicious, coconut aftertaste. I was quite surprised how much I liked it. Try it if you are a fan of rhubarb and custard sweets – as that is what springs to mind albeit some 24 hours after I had the beer. You can find this one on B5 The Ruth Bar*. 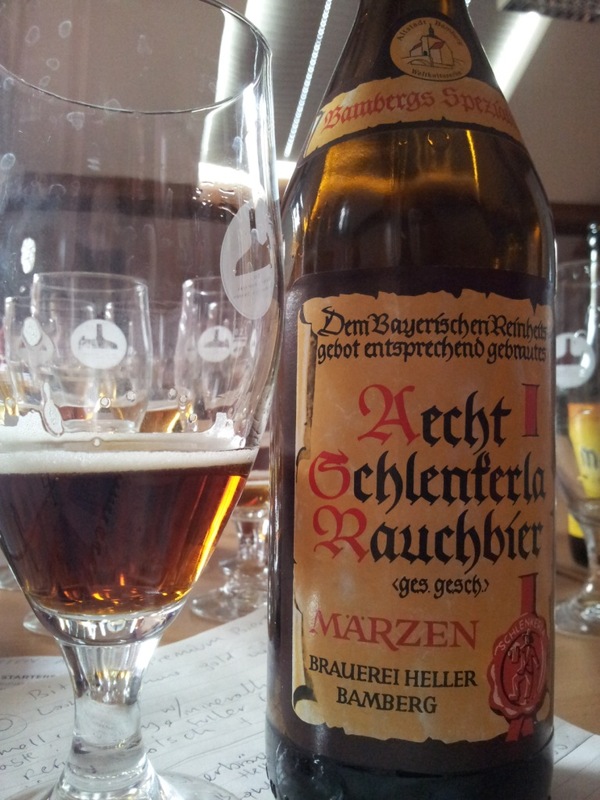 Aecht Schlenkerla Rauchbier Marzen (5.1%) is described in the GBBF programme as, “Possibly the most highly smoked of all beers … ‘smoky bacon’ or ‘kippers’…” but I first tried this in bottle while doing my beer sommelier training and found the smoked flavour much more subtle than that. If you’ve ever enjoyed lapsang souchong tea then this might be the beer for you. It is available upstairs from The Hetz Bar, stall W1*. I am lucky enough to be GBBF bound again on Thursday but I’m not going to tell you what beers I’m planning to have in case you drink the bar dry before I get there. *NB, as with all beers at GBBF…while stocks last! Previous Sophie’s Beer Diary: Sommelier, making my own beer & beer on the radio!